The giant empty pit in the middle of Boston’s historic center—known locally as the “hole”—has been an all too vivid symbol of an economic downturn that began in 2008. 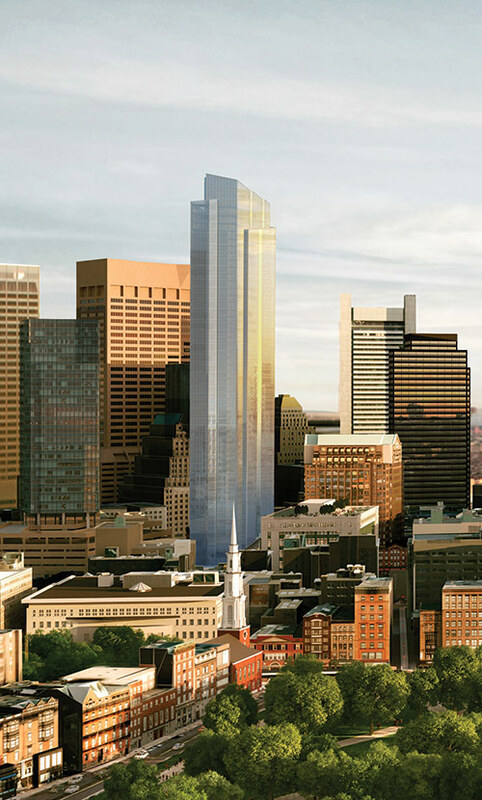 That year, developer Vornado stopped construction on what was to be a 38-story mixed-use building on the former site of Filene’s department store, a Boston institution that went bankrupt in 2006. But last February, the site began a new chapter. 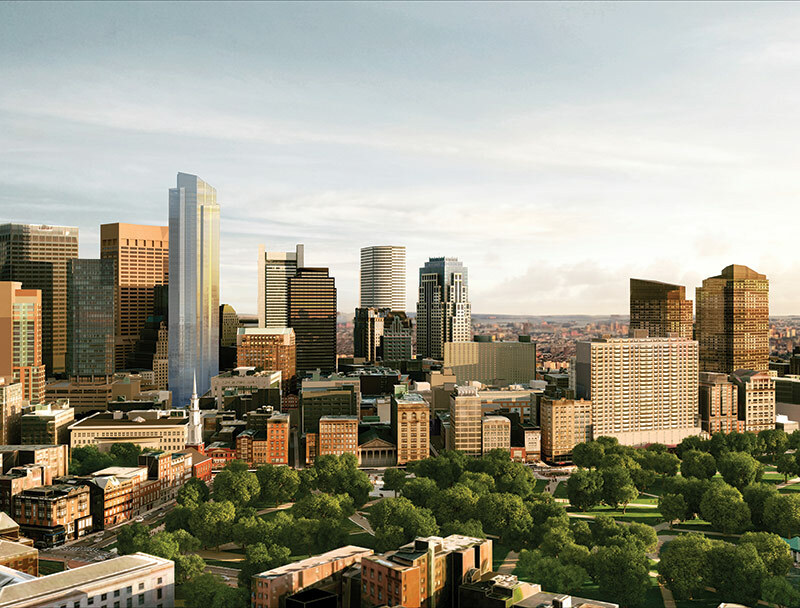 Developer Millennium Partners agreed to take a controlling stake in the property for an undisclosed sum, and in mid-September, following approval from the Boston Redevelopment Authority, renderings were released showing a 625-foot mixed-used tower designed by Handel Architects, with plans for surrounding public spaces designed by the Boston firm Höweler + Yoon. After clearing the site and starting construction that retains a 1912 landmarked building designed by architect Daniel Burnham for the Filene family, Vornado in November 2008 said it lacked the financing to continue the project. Vornado chairman Steven Roth was later criticized in 2010 for implying that the choice to stop construction was strategic rather than financial, with the intention to gain concessions from the city. A frustrated city government withdrew Vornado’s zoning permits, and the developer put the property back on the block.